This is the wishing well in Seoul Namsangol Hanok Village. 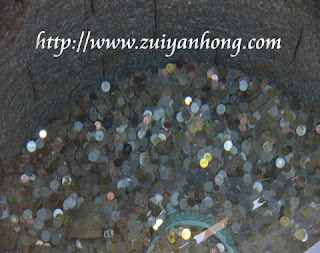 Tourists can throw a coin into the well and make a wish. It turns out that this stuff is also popular in South Korea. Perhaps toss a coin to make a wish is boundless. At the bottom of the wishing well is full of coins of various countries. 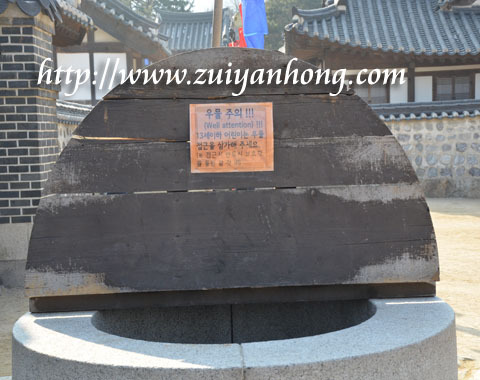 The well is just like a wishing well of United Nations. When I was in South Korea I did as Koreans did. Hopefully there will be no war in the future and no inflation in Malaysia. Thanks for your visit and comment. Feel free to come again.